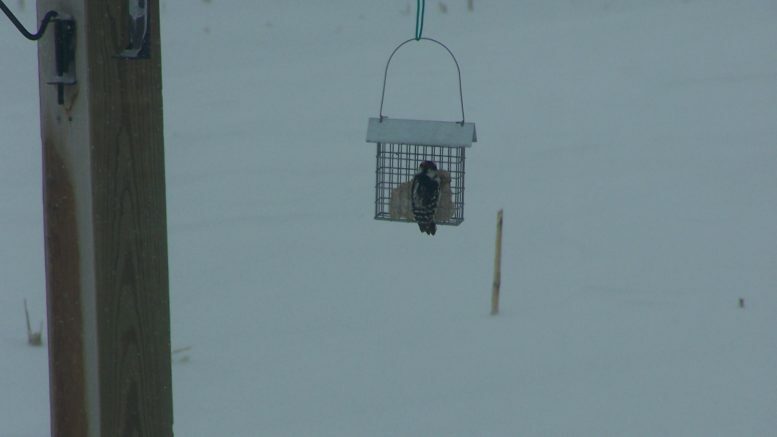 (Photo Courtesy/Harold & Linda Smith) A woodpecker enjoys some birdseed during a windy, snowy day. Today’s ‘Photo of the Day’ was sent in by Harold & Linda Smith. The couple took this photo of a woodpecker enjoying some food on a windy day. Harold and Linda said it doesn’t matter how hard the wind is blowing, the birds still come to eat. If you have a photo that you would like to send us, email news@wbkb11.com.